ECLIPSE 2017 IS COMING...AND THE SKY'S THE LIMIT! Millions Of People Will Be Watching. Make Sure You're Safely Covered For Eclipse 2017! The Celestial Event Of A Lifetime! 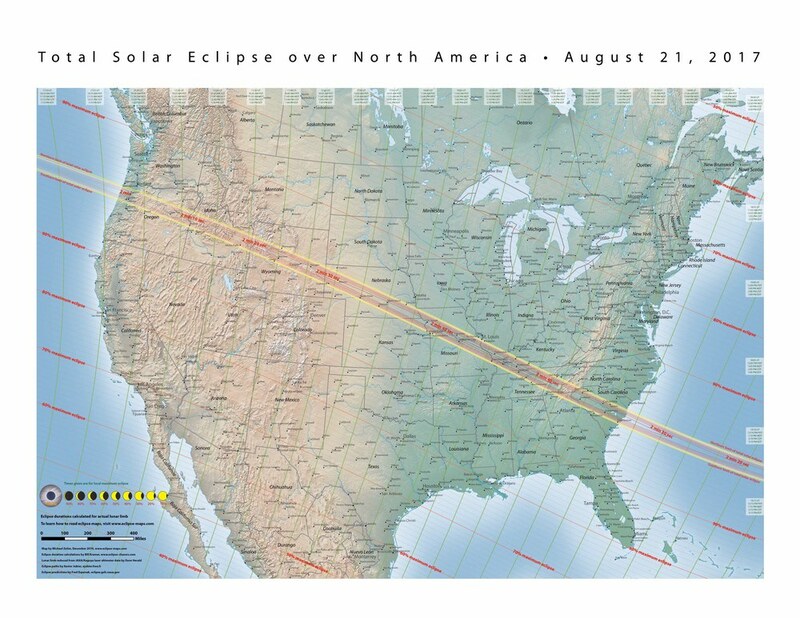 RESEDA, California – On August 21st, 2017, the first Solar Eclipse to cross the continental United States since 1979 is a Total Solar Eclipse with a path that stretches the breadth of the US from Oregon to South Carolina. 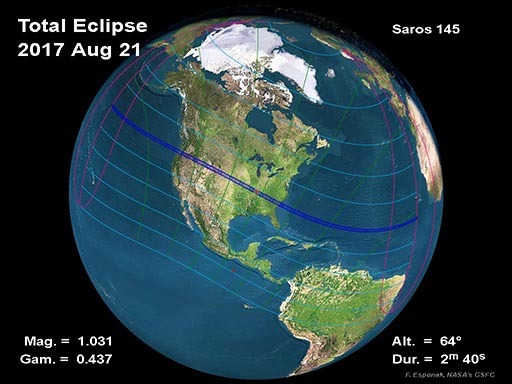 The Partial phases of the eclipse are visible from all North America, Canada, Mexico and Central America. The Moon's antumbral shadow first touches down along the west coast of Oregon at 17:17:00.6 UT with a 1m.58.6s duration of totality. Racing across the state, the antumbra moves through the cities of Salem, Albany and Corvallis. then to central Idaho just north of Boise, crossing into Wyoming engulfing Jackson and the Grand Tetons National Park, bisecting Casper, then crossing through Alliance and Grand Island Nebraska. From this point, the shadow's trajectory moves through Missouri with the greatest eclipse just outside of Hopkinsville and Clarksville with the duration of totality at 2m40.1s with a magnitude of 1.015 at 18:25:32.0 UT. The track swings to the southeast through Nashville Tennessee and the Great Smokey Mountain National Park north of Atlanta, Georgia. Under favorable weather conditions, observers will see a spectacular sunset total solar eclipse as the shadow reaches the eastern coast of Charleston, South Carolina with a duration of 1m31.8s at 18:47:11.0 UT. The demand for TSE2017 eclipse viewing glasses will be strong as the big day nears. Last minute shortages are expected! So Order your Eclipse Shades® - Safe Solar Eclipse Glasses and Viewers today from the experts with years of experience, research and quality control. Eclipse Shades® from Rainbow Symphony, Inc. The sure safe way to "Eye The Sky!" This special web page contains preliminary information about the 2017 total eclipse of the Sun. It will be updated with more information as eclipse day approaches.